Naked Grouse took a leap of faith and challenged whisky making conventions to create what is now an award-winning blended malt whisky. Convention said that Blended Malt matured got its flavour from pre-used Bourbon casks and were often used again and again. The Naked Grouse changed the rules and used the best of Sherry casks. These casks have never held Whisky; therefore, they’re first-fill Sherry casks, Naked Casks, hence the name – Naked Grouse. The result of this was a joyful exuberance of flavour, that changed the possibilities of whisky enjoyment. So, hats off (and everything off) to Naked Grouse, for taking a liberating leap into the unknown. 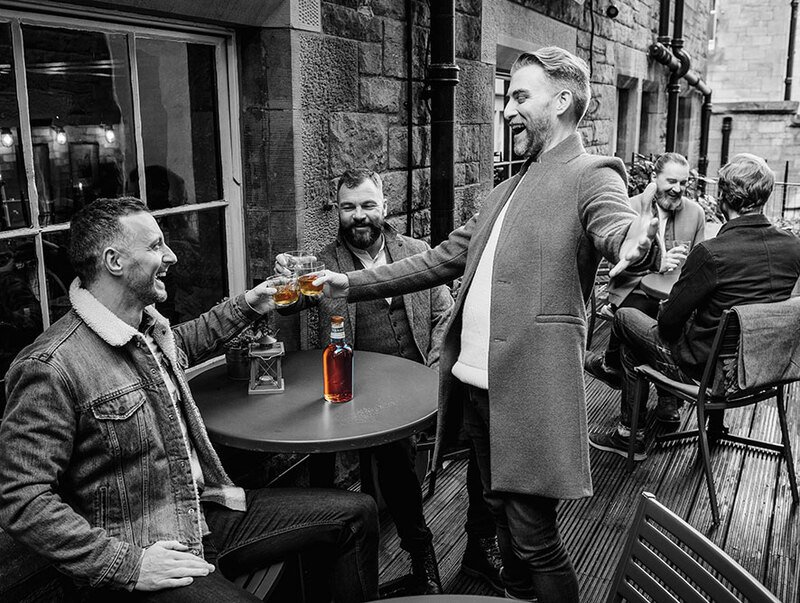 Made for when you’re celebrating that liberating moment of release, that exhilarating moment when you can get back to the real you, the Naked you… No need to dress this up, the whisky speaks for itself. Not just a blend of any old malts, Naked Grouse selects casks that have the strength of character to get the most out of what they had in mind for them. After being carefully selected, it is the six months in first-fill sherry casks that gives the Naked Grouse its flavour and name. These casks have never held Whisky, Naked Casks we call them. Naked Grouse is a blended malt. Formerly called a vatted malt, or pure malt, is a blend of different single malt whiskies from different distilleries. Naked Grouse is unique on the market, as it is the only Blended Malt Scotch to be finished in 100% first-fill Sherry casks. Cask strength is not just measured by alcohol but character too. Malts like Highland Park, Glenturret and The Macallan, stars in their own right. Which is a bit unusual. 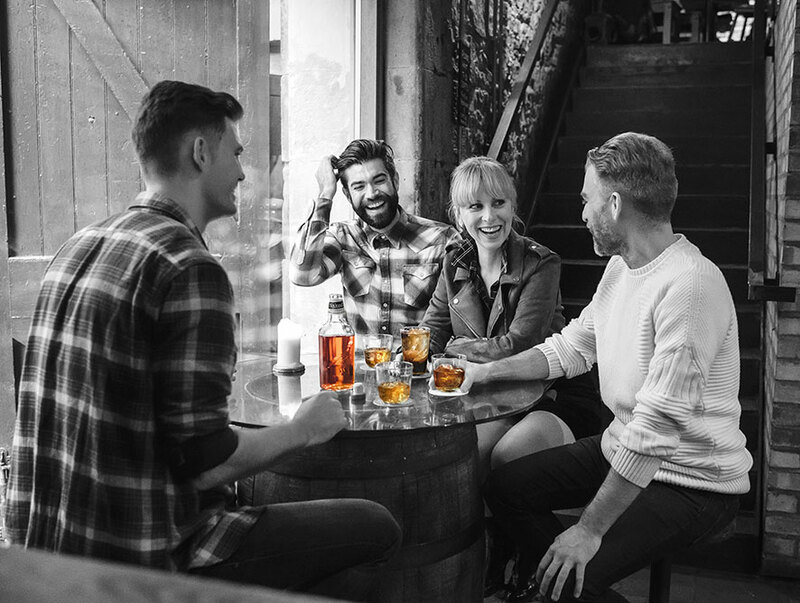 The chosen Malts are first meticulously blended and then poured into what we call our Naked casks. Naked because it is their first time filled with whisky. They haven’t been just doing nothing, as they have been holding sherry, and the sort of sherry that has the character to match up to the malts. Rich dark sweet Oloroso sherry that lingers long in the fibres of the wood long after the liquid has gone. The blended malts are introduced to the sherry seasoned casks and we leave them six months to work it out between themselves. Imagine Ewan McGregor and Penelope Cruz left alone in a room for six months. We can’t let them enjoy themselves forever in there so at around six months depending on when we are happy that it is ready, we release it, give it a quick chill filter to remove any grubbiness that has happened in the cask and then bottle the liquid as Naked Grouse. By now the liquid has taken on that intriguing taste that we are so proud of, some say it has dark rich cherry fruits and a refreshing citrus finish, and that may well be true. It is the six months in first-fill sherry casks that gives the Naked Grouse it’s flavour and its name. After a tough day in the office being what everyone else wants you to be, why not choose something different that can get you back to the real you. Delivering refreshment that slices through the warm sherry richness of the whisky, Naked and Dry high-ball may not mark you out as a whisky snob, but it does mark you out as someone who knows a great tasting drink. — Add all the feisty ingredients to a tumbler with mountains of ice and garnish with a squeeze of fresh lime. Naked Grouse is the perfect base for whisky cocktails, as well as being able to be enjoyed neat or over ice. Naked Grouse has been gaining global recognition around the globe, picking up quite a few awards. 2 Gold & 1 Silver at 2018 Bartenders Brand awards, UK. Chairman’s Trophy, Great Value and 96 points at The Ultimate Spirits Challenge 2018. Gold Medal at the 2018 San Francisco World Spirits Competition. Click here for our popular Naked Nutella recipe. Naked Grouse – inspiring a new generation of whisky drinkers!